As a member of the Quinault Indian Nation (QIN), I spent the majority of my childhood summers in Taholah at my grandparent’s house while my parents worked throughout the summer. My grandparents lived right at the heart of the lower village. Many of my childhood memories occurred in Taholah. Playing backyard baseball with all of my cousins, daily trips to the mouth of the Quinault River with my auntie, bike rides with my sister throughout the reservation, lighting fireworks on the beach and enjoying good food and times served up at the many family functions at the community center. In my adolescent years, I worked for the Quinault newspaper, the Nugguam, where the offices had an amazing view of the river, located directly across the street. My mother, my grandparents and countless others created priceless memories in the lower village and have lived there for nearly their entire lives. It’s heart wrenching to learn that at any given moment the entire lower village could be washed away. Schools along the coast, throughout Grays Harbor County, practice tsunami evacuation drills in case they ever need to transport students to higher ground. Tsunami evacuation routes are posted throughout the highways as coastal communities including Ocean Shores, Seabrook and Westport are all at high-risk. Many of the small towns have only one or two roads leading away from the ocean. Several of my classmates would often scoff at the idea of a tsunami ever occurring during our lifetime. One classmate even stayed home while his entire family evacuated during one of a few red tsunami alerts. Tsunamis, for some reason, always seemed somewhat farfetched. However, the Quinault Nation is currently in the planning process of creating an entire new village that is out of the tsunami danger zone, preparing for a tidal wave that may not be as far away as we once thought. Relocating all of Taholah’s lower village community members and programs will be no easy feat. In fact, the planning department envisions completing the entire project within twenty to twenty-five years, depending on a number of variables such as funding and convincing the community to leave their current homes. When creating the plan for the new village, QIN also had to include the programs that are currently located in the lower village as well as the cultural museum, the Taholah Mercantile, post office, community center and the school. “We wanted to have a central road with the mercantile, the bank, the post office and other offices,” Kelsey said while describing the relocation plan. “We have the museum at the heart of the community to keep the culture right there in the center. And also a new community center at the top of the hill where you would be able to have better space. The community center will probably be a little oversized, we’ll have extra showers and we added some storage for cots and tents, so that it could serve as the emergency evacuation area. The new village will also include a central park, cottages for elders, apartments for college students and single adults, and tiny houses for the homeless population as well as people who are returning to the community from recovery. If a disaster were to take place, the QIN planning department took measures to ensure the sustainability of the community. The Generations Building is essentially the first step in implementing the relocation. The Generations Building will unite the elders and the babies of Taholah, combining the senior program and the Taholah Early Head Start, Head Start and day care programs into one building. Although the tribe hopes for much interaction between the generations, Kelsey explained that the idea behind the Generations Building is to protect the community’s most vulnerable populations. The new building will also serve as Taholah’s evacuation facility until the new community center is completed. The Generations Building is currently in the process of architectural development and if approved by the Nation, could begin construction as early as next year. After the Generations Building is complete, the next phase will be constructing the first neighborhood of the village, with spaces for both small and large families. QIN will then focus their attention on relocating the Queets Village, located near Lake Quinault and home to a number of Quinault tribal members. Kelsey believes the relocation of Taholah and Queets will happen over a number of years and in phases, alternating projects between the two new villages. 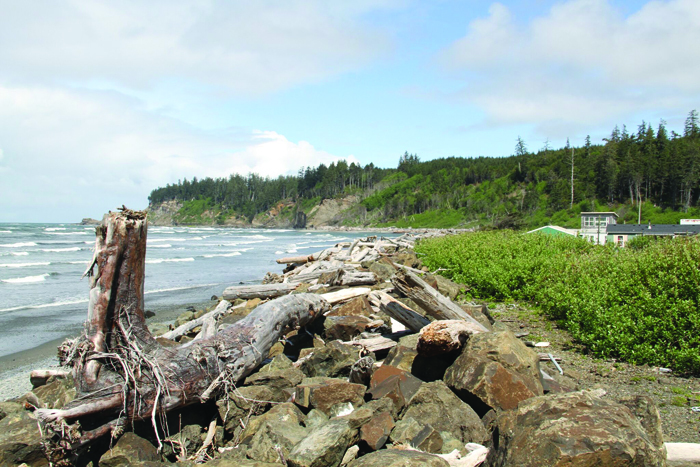 In addition to the tsunami, QIN has to think about how climate change will continue to affect Taholah through sea level rise and beach erosion. Funding remains a concern for the project at the moment because many communities haven’t had to move an entire village to higher ground for the safety of their people during this modern age. In earlier years, Indigenous communities would be able to move about the land more freely, today the tribes face more challenges such as property ownership and the cost of construction. Since working on this project with QIN, Kelsey has come into contact with two tribes, one in Alaska and the other in Louisiana, who are currently experiencing similar situations and are having to relocate. By keeping in contact with those tribes, Kelsey has been able to learn of a couple new resources for funding as well as pick up a few pointers. Saying good-bye to the entire Taholah village would be extremely hard because of the memories created and shared there. However, QIN is making efforts to protect the culture, the safety of its people and ensuring the future of the tribe by beginning to build a safe, new community away from the danger of a tsunami. 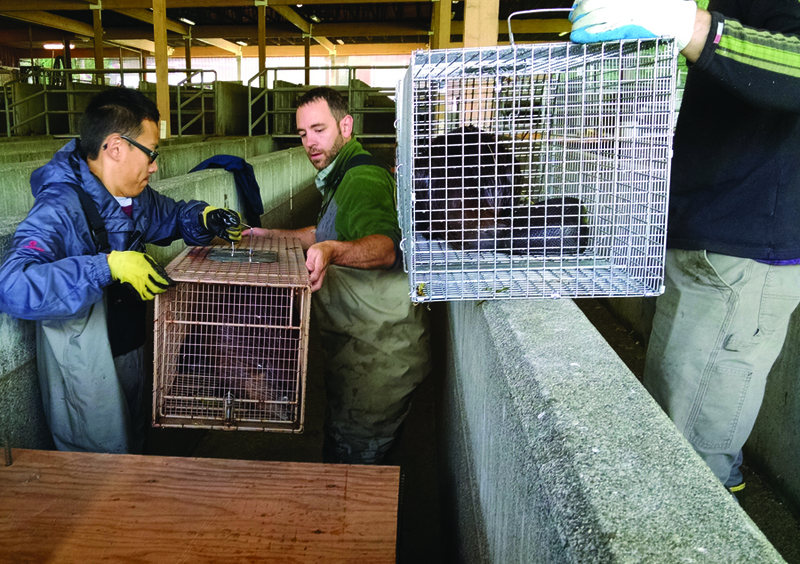 The beaver are paired up in traps before being transported to their new home. Beaver are known for their industrious landscaping. They regularly use their skills to rearrange the world around them, much like humans, to build safe places to live and grow the plants they feed upon. Unfortunately, for businesses and homeowners, the beaver’s best-known talent is also one of its least charming attributes. The solution? 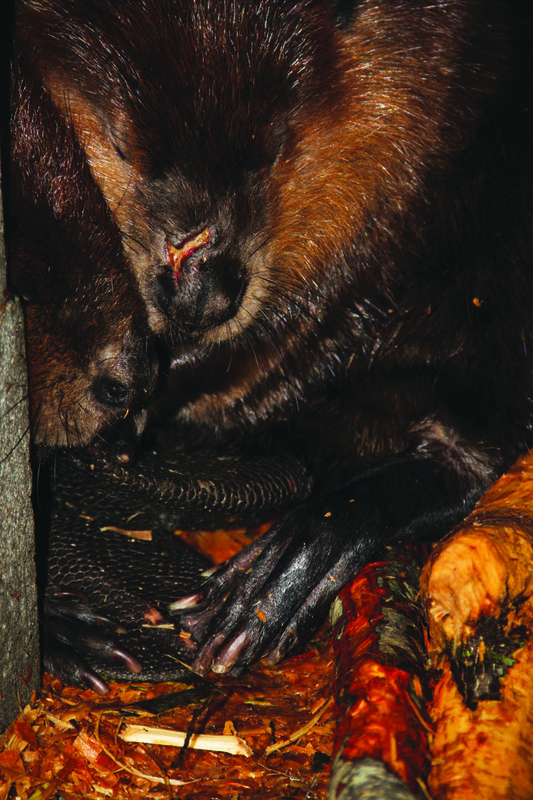 Move nuisance beaver from urban areas to Forest Service land in the mountains where their construction skills will both build salmon habitat, and mitigate the effects of climate change. 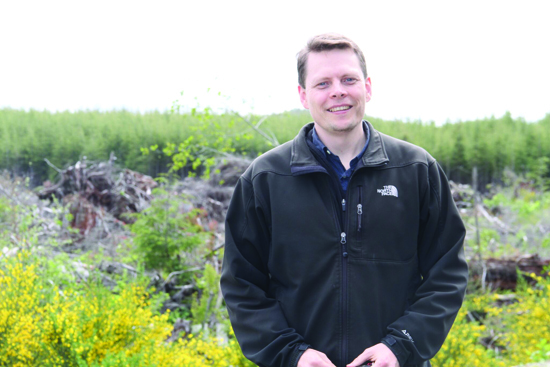 A win-win that Tulalip Wildlife Biologist Jason Schilling is excited to share. Dittbrenner is a former Snohomish County employee. While at the County he worked with landowners to ensure that property was protected from beaver activity. The project will work, said Dittbrenner. In a nutshell, the beaver’s dam building creates ponds which helps increase the water table. Beavers slow down water during fast flow times and increase water during the dry season. All of which adds up to more, and better quality water, as well as rearing habitat for salmon. Lastly, as climate change causes the snowpack to decrease, beaver ponds are an effective and natural way to store water for the dry season. Since it’s such a great solution, why isn’t everyone doing it? Because in Western Washington it’s illegal to transport beaver alive from where they are trapped. It’s still perfectly legal to kill them. Tribes, however, are not subject to state law. Tulalip biologists have 24 beaver friendly sites picked out, but only eight of the sites will be populated initially. The unused sites will be used to as a comparison to demonstrate how effective the project has been. For more information about the project contact Jason Schilling via email jschilling@tulaliptribes-nsn.gov. Molly Alves, Assistant Wildlife Biologist at Tulalip, points out the recently nibbled branches, explaining that they will be placed on site with the beaver. The beaver are more likely to stay because they recognize their scent on the old branches. 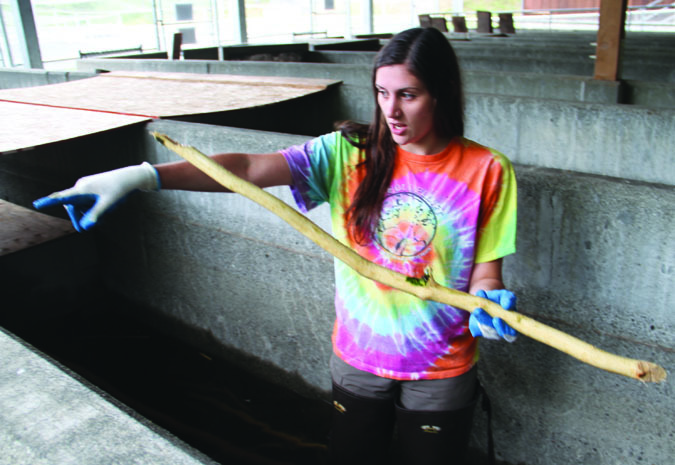 Assistant Wildlife Biologist Molly Alves helps take care of beaver while they await relocation. She feeds them, dropping bunches of vine maple and vegetation, into the chum raceways where they are living. The beaver are also offered commercial rat food, but don’t seem to care for it. They sleep in man-made lodges built out of cinder blocks. Alves explained that beaver are highly social and prefer to sleep together. That is one of the reasons they’ll be relocated as a group. Other strategies to ensure the animals don’t leave include scent marking the locations. The family is made up of two adults, three sub-adults and one kit. “We’ve been setting up camera traps as well, so we know there are two more at the site where we caught this family,” said Alves. While the cameras are useful, Alves said the biologists knew there were more beaver because the animals can’t stand a leaky dam. Beaver are nocturnal herbivores, although they don’t hibernate, their planning and construction ensure that they survive winters just fine. Hatchery visitors can learn about the beaver through series of interpretive signs that describe the relocation project and it’s benefits.